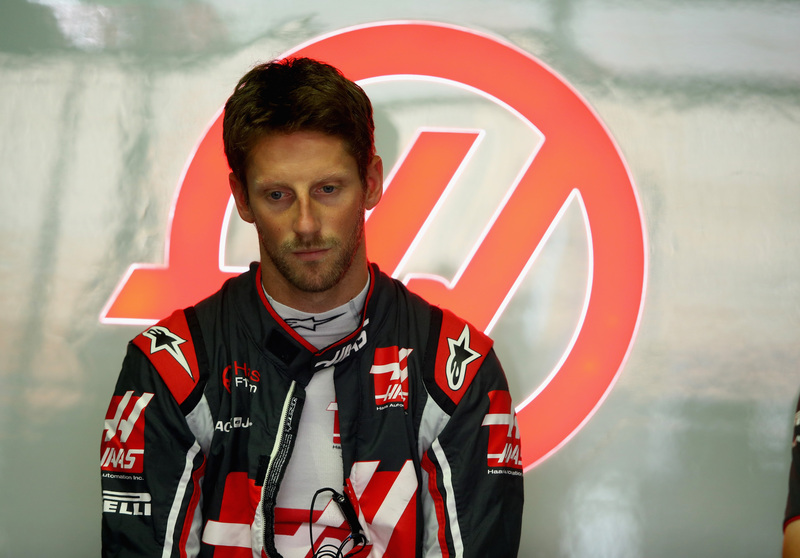 Grosjean had a strong race last time out at Germany's Hockenheimring, rising back from 11th to sixth in the last twelve laps of the race following a late pit stop, but the eight points he added to his tally marked only his second points finish in a year that so far has largely been marred by crashes and incidents. In comparison, his Haas F1 team-mate Kevin Magnussen has recorded six top-10 finishes so far this year, amassing 39 points to Grosjean's 20. 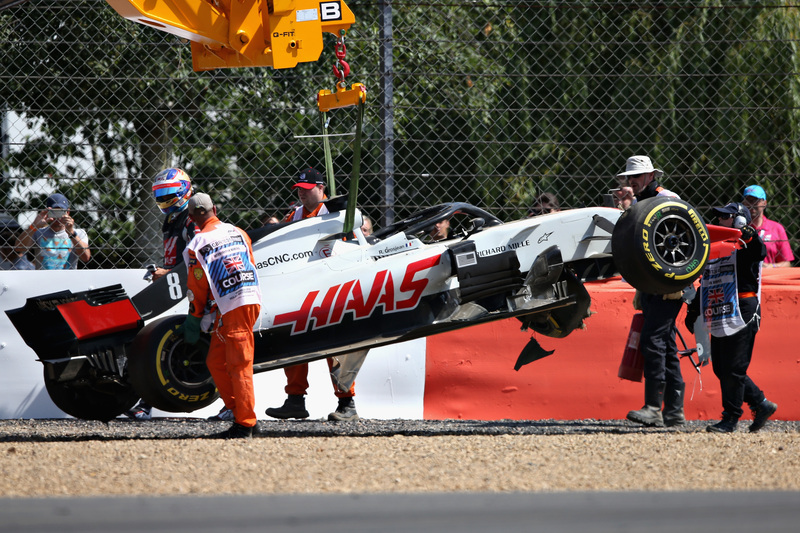 With no firm deal in place for 2019, Grosjean finds his future under threat at Haas, with team principal Günther Steiner admitting prior to the German Grand Prix that he found his driver's tendency to get caught up in trouble "frustrating". Grosjean (left) and Haas F1 team boss Steiner. Grosjean's strong German Grand Prix run has thus come at an opportune time for the under-fire Frenchman, with Steiner emphasizing ahead of this weekend's Hungarian Grand Prix that Grosjean's future at the team hinges on delivering similar strong performances on a regular basis. "He drove a fantastic race in Austria [where Grosjean finished fourth and a very good race last weekend in Germany, we just need to get him a bit more consistency," Steiner told Autosport. "Consistency is the magic word and he knows that, it's nothing new to him," Steiner stressed. "We know what he can do, he knows what he can do and you guys [the media] know what he can do on a good day—he's pretty outstanding on a good day, we just need to get him a bit more consistency," repeated the team boss. According to Steiner, Haas is doing what it can to help Grosjean get his weekends off to a good start. "Iif he starts the weekend good, it normally goes good," he said, but admitted there's little more the team can do than set the car up the way Grosjean desires. "The rest he has to do." Haas, which is in sixth in the constructors' championship but is widely considered to have the quickest midfield car behind Formula 1's big three Mercedes, Ferrari and Red Bull, finds itself in demand on the driver market. According to Steiner, the team isn't "shopping around," but has been approached by plenty of drivers. "There's people asking, and for obvious reasons." Drivers like Force India's Sergio Pérez and Sauber's Charles Leclerc—a protegé of Haas' engine supplier and technical partner Ferrari—have been mentioned as possible replacements for Grosjean. Haas is expected to retain Magnussen in the other car. Steiner reckons the midfield driver market won't really heat up until front-runner Ferrari has decided whether it wants to retain Kimi Räikkönen or take a punt on Leclerc, and until it's clear, what the Renault factory team decides to do. "We will decide after the holiday what we want to do," he said. On a damp day in Deutschland, indecisive rain threw everyone but Mercdes off their game.